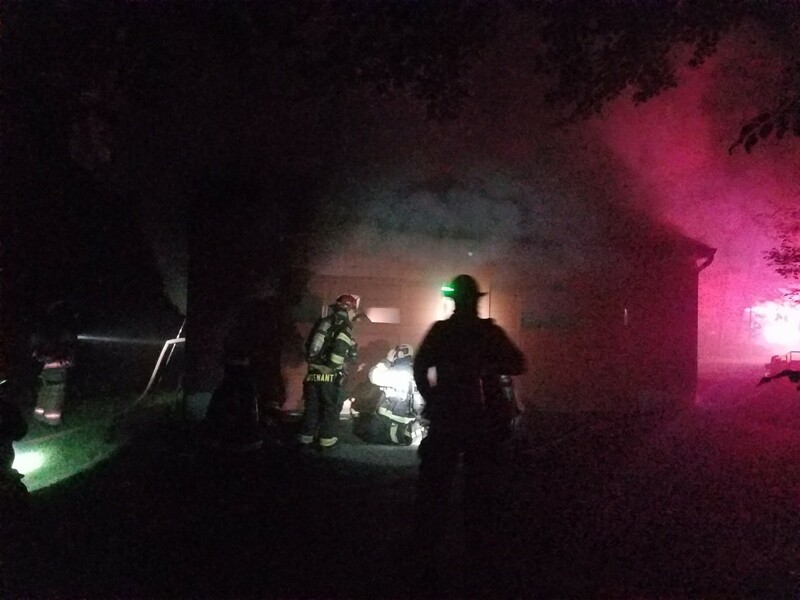 On August 23rd the Millstone Township Fire Department was dispatched to Fawn Way for a reported structure fire. 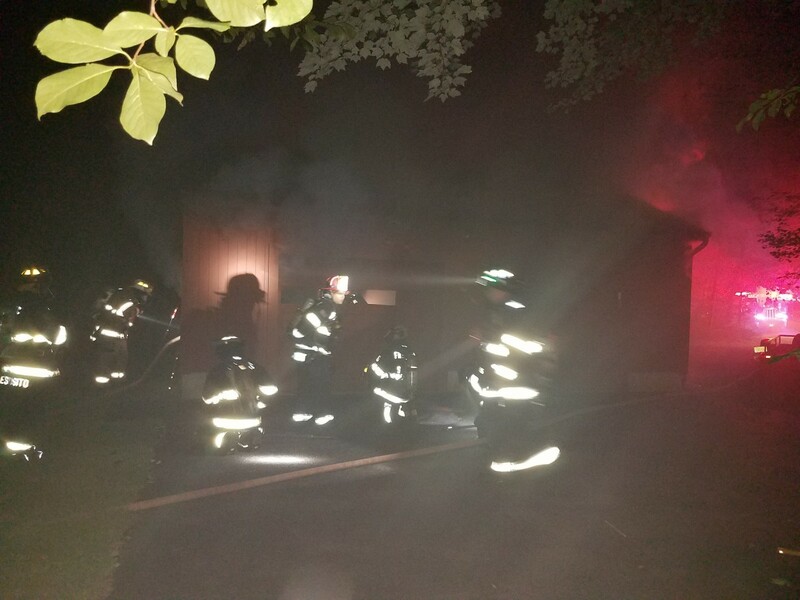 Upon arrival the homeowner directed Chief 3266 (Fiore) to a detached garage approximately 40 yards from the home. Heavy smoke was coming from the eaves on all sides. 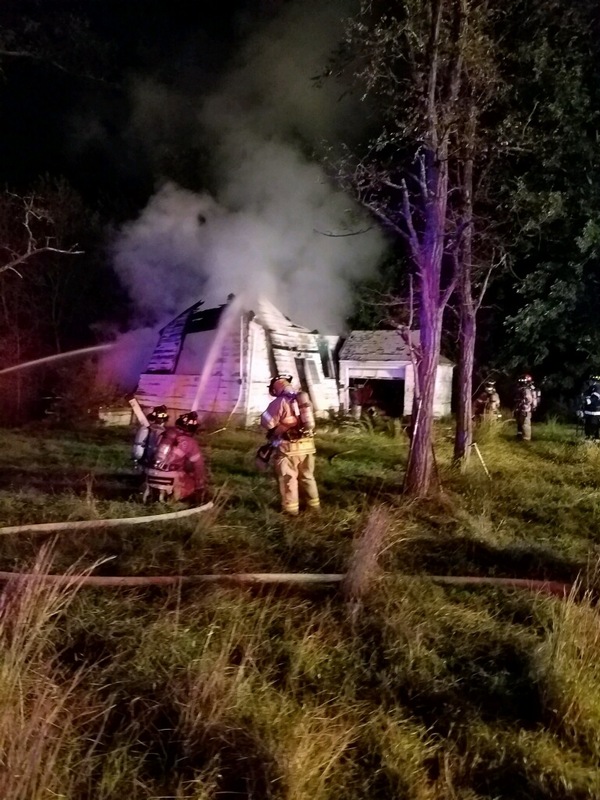 Multiple departments were dispatched along with the Suburban Chief’s Tanker Task Force as initial reports indicated the primary residence was the source of fire. 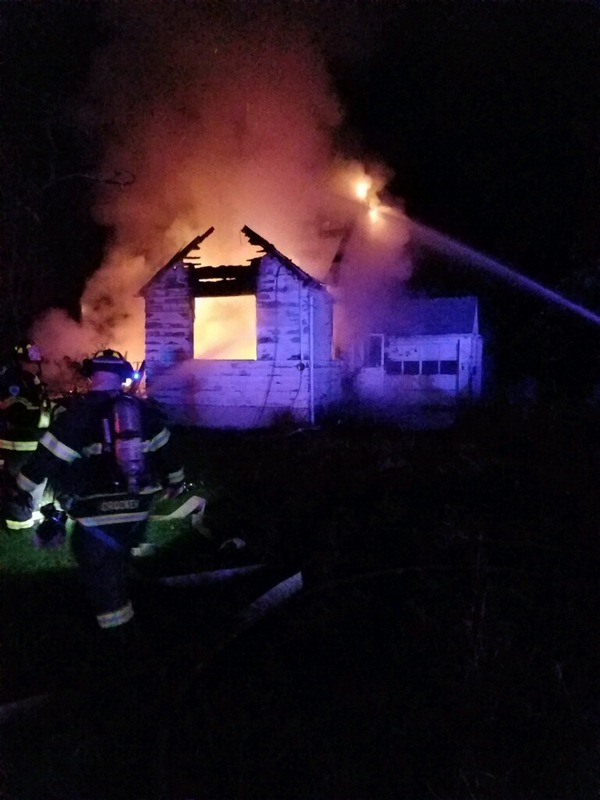 A quick knock down was completed by Millstone 3290 (Deputy Chief Wagner) with overhaul conducted by multiple departments including Jackson Mills (Sta 54), Freehold Independent (16-2), Englishtown (12-1) and Manalapan (26-2). Coverage provided by Hope Fire (82-1), East Windsor (46) and Monroe (Sta 57). 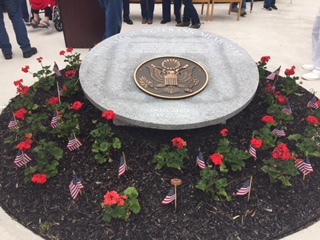 The Millstone Township Fire Company joined with a number of other township groups and agencies to remember those who gave all defending our great nation. While Memorial Day represents the unofficial start to the summer it signifies the great sacrifice our men and women have given to all of us. Please keep them in your thoughts as they are true heroes. 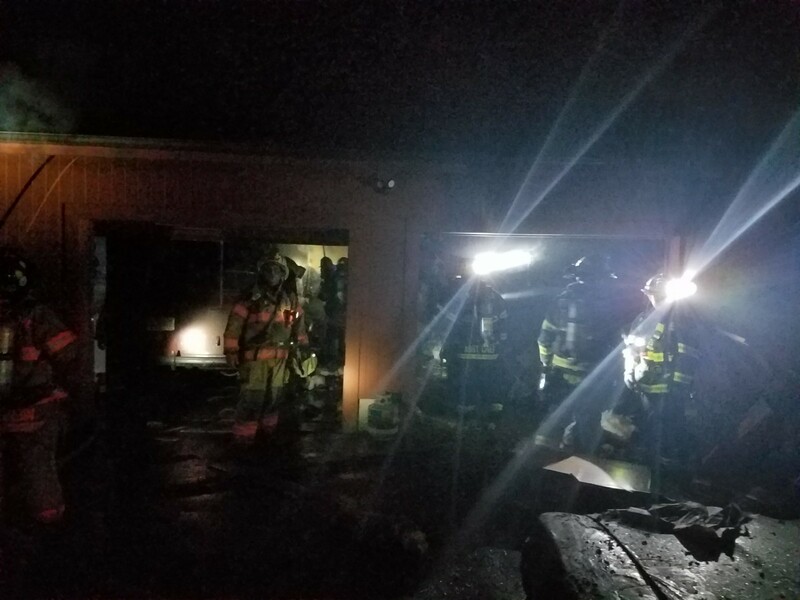 On April 11th at 2047, the Millstone Township Fire Department was dispatched for a vehicle fire in the garage at 14 Arrowhead Way. 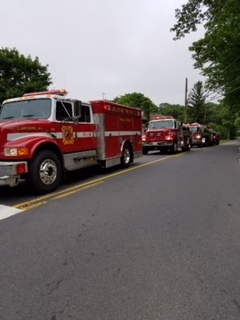 Automatic mutual aid was also dispatched from Monroe Township Fire District #2 (Tower and Tanker 57), Englishtown Fire Department (Engine) and Manalapan Township (Engine and Tanker). While units were beginning to respond addtional information was received reporting heavy fire showing. Chief’s 26-2-67 and 12-67 arrived to find a two story single family residence with heavy fire showing from all floors. 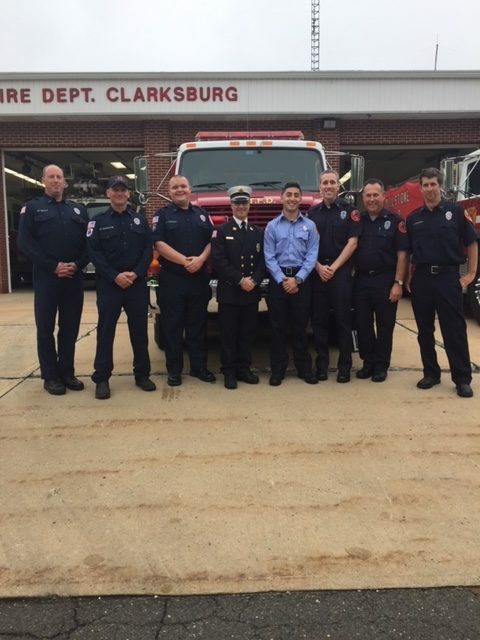 Chief Fiore (3266) arrived and assumed command. Tower 57 and Engine 12-74 arrived simultaneously. Tower 57 was placed in the driveway for the use of the aerial master stream. Engine 12-74 stretched a 2.5″ attack line for initial fire attack. Tower 57 placed the aerial master stream into service. Telesqurt 3290 and Engine 26-2-78 arrived and assisted with fire attack. Due to heavy fire conditions crews worked from the exterior to darken the fire down. 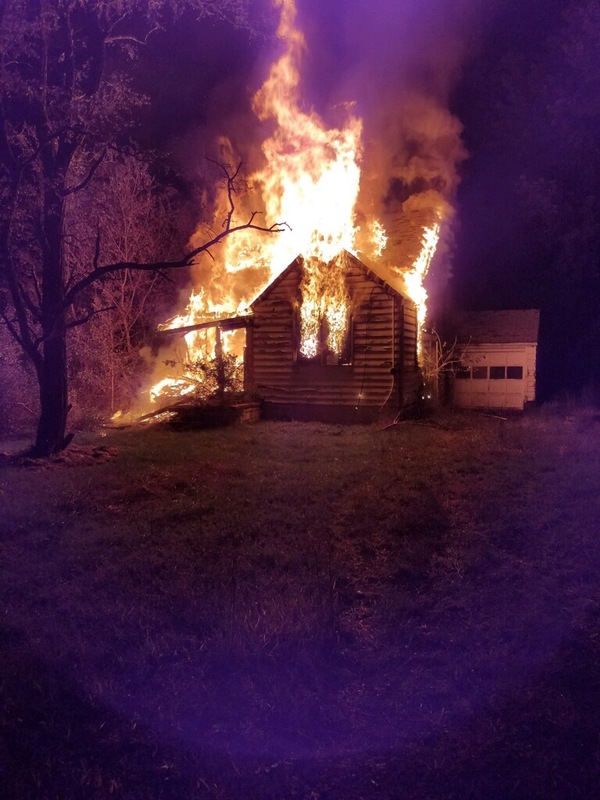 Once completed, the crew of 1274 and 3290 made an interior attack on the first and second floor of the residence, to knock the remaining fire down. Due to Millstone not having a municipal water system the Western Monmouth Tanker Task Force was initially requested by command. Tanker 3296 acted as initial water supply and supplied from tankers from various departments. 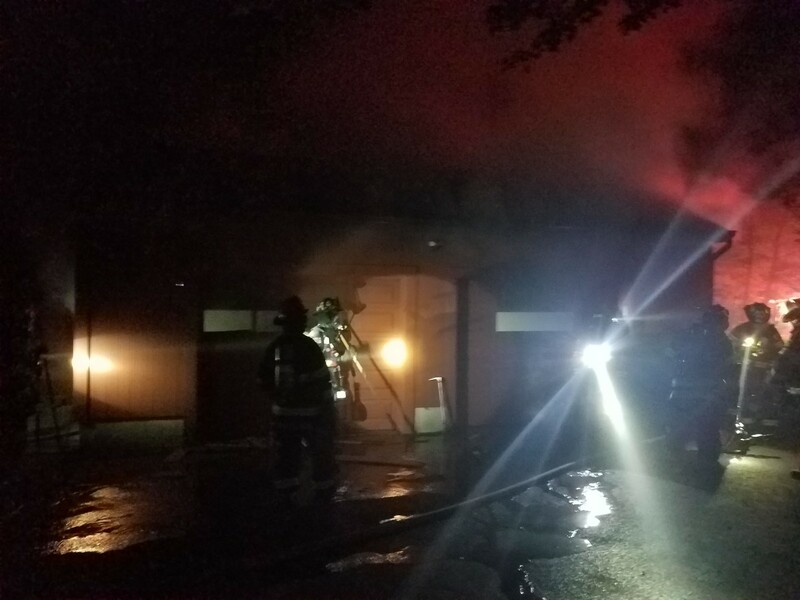 Crews were worked on the interior and from Tower 57’s platform to perform a significant amount of overhaul The fire was placed under control at 22:14. 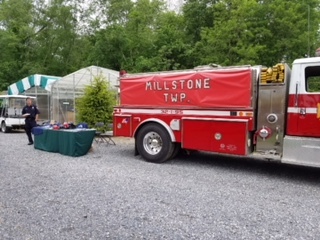 The Millstone Township Fire Department responded with a total of 8 pieces of apparatus and 24 total members. Mutual aid assistance was also received from the Hightstown Fire Department (RIT- Rescue 41), Monroe Township Fire District #1 (RIT- Ladder 51), Monroe Township Fire District #3 (Tanker), Freehold Township Independent (Tanker and Fill Site Engine), Hope Fire Company of Upper Freehold (Tanker and Fill Site Engine), Marlboro Township (2 Tankers), the Monmouth County Fire Marshals Office Fire Coordinator Unit and Millstone Township Department of Public Works. 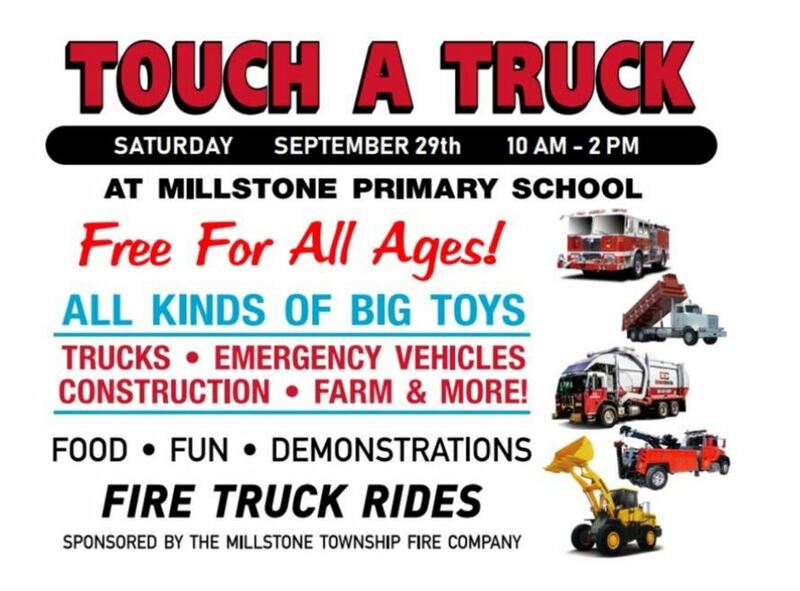 Firefighter rehabilitation was provided by Millstone EMS, Englishtown Manalapan EMS and a Monmouth County Medical Aid Bus from Neptune EMS. 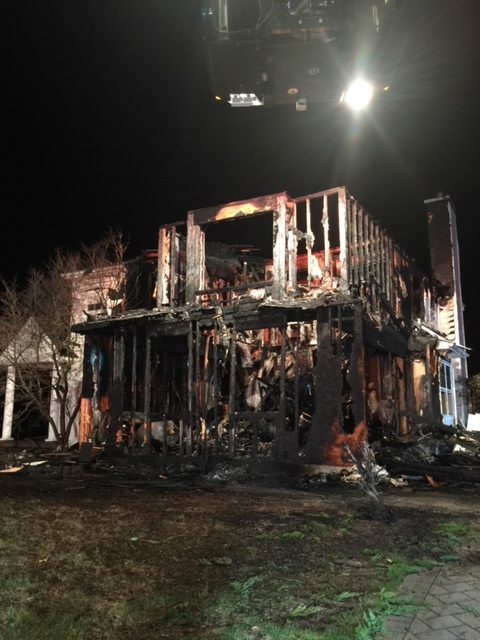 The fire is currently under investigation by the Millstone Township Fire Prevention Bureau, the Monmouth County Fire Marshals Office, the Monmouth County Prosecutors Office and the New Jersey State Police. 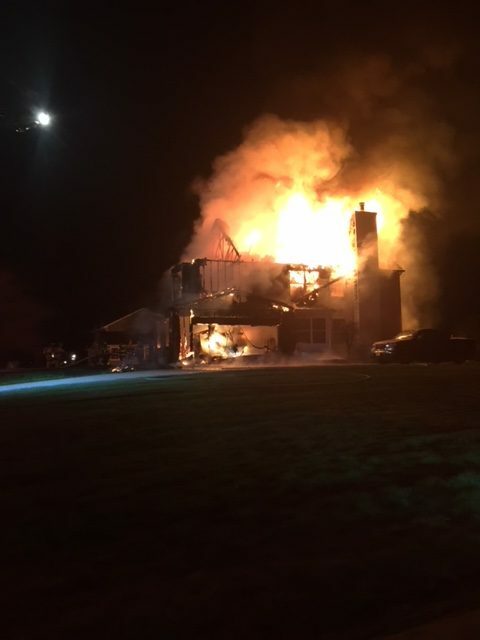 During this incident the Millstone Firehouse was covered by an engine from New Egypt and tankers from Adelphia (Howell Township) and Cassville (Jackson Township).